This is not what I was supposed to work on today and it always amazes me how quickly I can get things done without distractions. 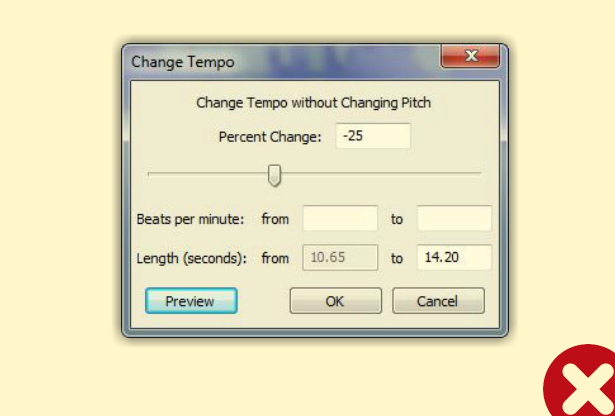 My first layout had the original recording in the middle surrounded by Tempo, Pitch, Faster and Slower. 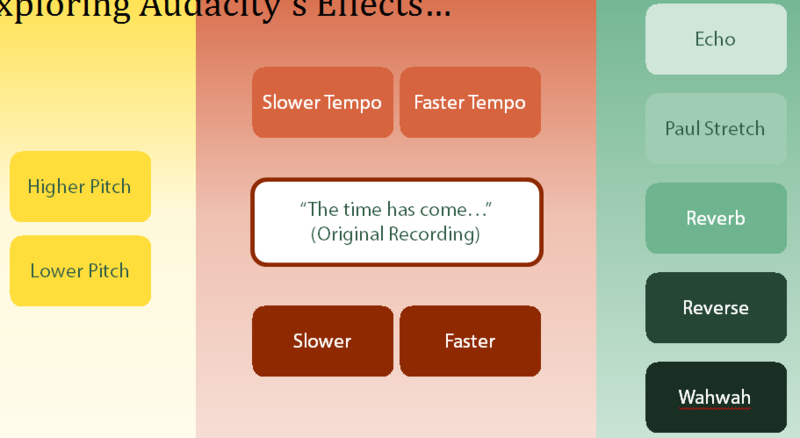 After I organized the layers, it became apparent that there should be a Venn diagram of sorts: Faster/Slower alter both the Pitch and Tempo of the audio. So that’s what I ended up with. 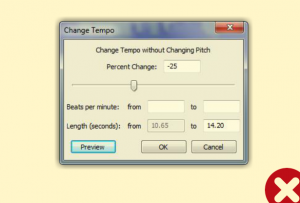 The original layout didn’t connect Faster/Slower with Pitch or Tempo. Click the image to see the interactive soundboard. The layers show the actual settings used to achieve the effect that you’re hearing. 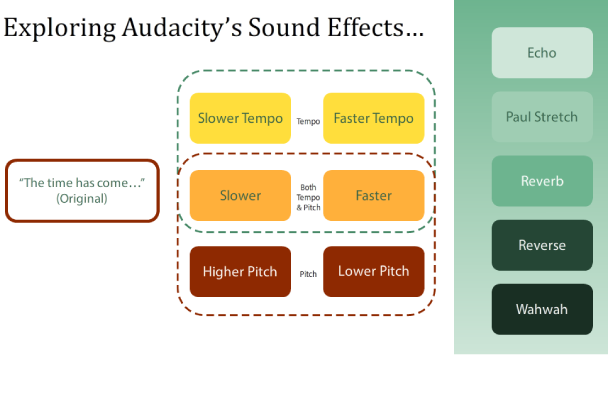 I kept thinking this might actually help me some day, like a quick reference to the Audacity settings. But it’s faster just to preview the settings I think. 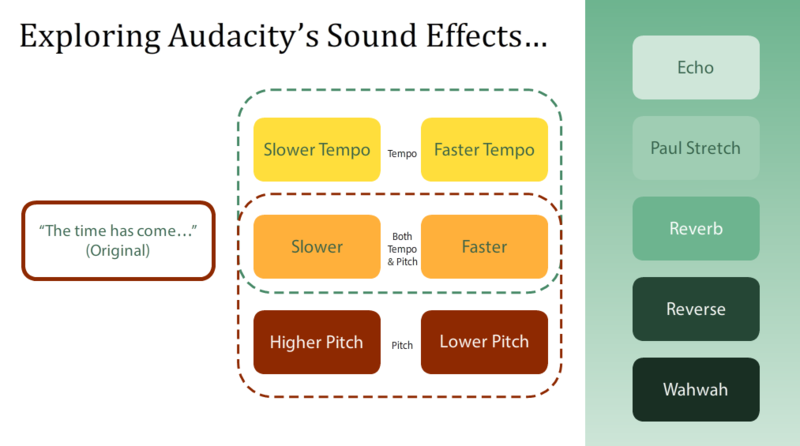 Each layer shows the actual settings used to achieve the sound being heard. Both the “Reverse” and the “Faster” still make me laugh when I listen to them! A fun challenge! Click here to see my soundboard. Thanks for visiting, Joanne! I’m glad I can inspire you! I’ve seen your stuff through the Challenges and you inspire me too! 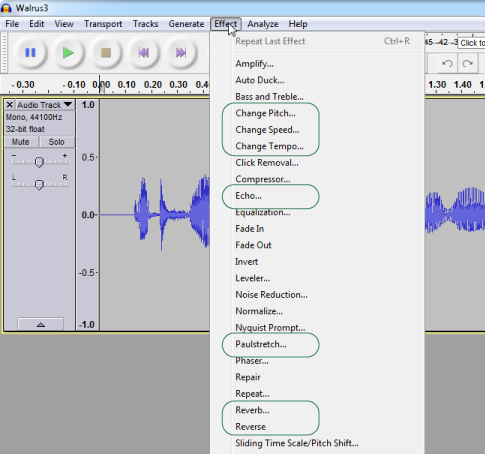 Please share your DIY Guide for Audacity when it’s ready. I’d love to see/hear it! Best of luck with everything.